Nevertheless, the basic premise is sound that a video like this might hasten the efforts of a local struggle. Such transnational activism can speed the process of building awareness, a critical component of any campaign — although neither a video nor the awareness it spreads should be considered a goal in itself. Consider, for instance, the 1985 student-led consumer boycott in Port Elizabeth, South Africa, which helped to launch third-party international sanctions against that country’s apartheid state and corporations. But “KONY 2012” is different from this kind of tertiary sanctions in significant ways. What Tilly calls “WUNC” (worthiness, unity, numbers and commitment) on the part of participants and their constituencies. WUNC is communicated in characteristic modes of expression that local audiences can recognize. Worthiness can be shown in deportment, neatness of dress, attendance of religious leaders, accompaniment of dignitaries or respected figures, and presence of mothers with children. Unity can be seen in chosen logos, headbands, costumes, marching in disciplined ranks, singing and clapping. Numbers show in signatures on petitions or pledges, messages, and filling streets or squares with people. Commitment is visible when people brave bad weather, or if the very old and disabled are in the throng, or in clear-cut resistance to oppression, or when recognizable sacrifices are being made, such as subscriptions and donations. 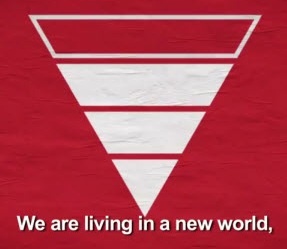 The “KONY 2012” video does involve certain elements of a typical nonviolent social movement. It asks for commitment, requests individuals to sign pledges, solicits money and asks viewers to share the video. It has enlisted celebrities, athletes and performers. It uses slogans, pays attention to recruitment, heeds the meaning of numbers and uses state-of-the-art social media technologies. The organizers have been clever and innovative, developing a website through which individuals might track their impact. Those who contribute to its charity receive well-designed kits to facilitate their ongoing involvement, which are said to be free. Its spokespersons make strong demands upon the Ugandan military, the U.S. government and the International Criminal Court (ICC), which they hope will bring Joseph Kony to justice and set an international precedent. “KONY 2012,” however, does not stand in solidarity or support of an organized movement of Ugandan resistance. In suggesting that people contribute money to the San Diego-based nonprofit that made the video, which advocates a U.S.-assisted military operation to remove Kony, it’s as if Ugandan civilians are incapable of their own solutions. This is an atrocious conflict. After Yoweri Museveni took power in Uganda in 1986 and became president through military force, some ethnic Acholis rose up, Kony among them. At an early stage, his LRA received some local support in northern Uganda, but as its assets faded, the militia began to rob the local population. The guerrilla group gained strength in 1994 when the government of Sudan began to back it, thus retaliating against the Ugandan capital for supporting Sudanese rebels. By 1996, Uganda’s government was creating secured camps. Village children were called “night commuters,” as they walked miles nightly to the comparative safety of the camps or towns, trying to avoid abduction. Kony’s goal for the LRA was never apparent, beyond the ouster of Museveni and formation of a theocracy based on the Ten Commandments. Meanwhile, local villages have been caught in a terrible crossfire between the Ugandan military and Kony’s LRA, and as many as two million people have been displaced. The conflict is not cross-border in the usual sense, but it is now a regional phenomenon, further confounding solution. International institutions, courts and agencies of multilateral diplomacy have few relationships to provide handles for enable meaningful involvement. In 2005, the International Criminal Court (ICC) in The Hague indicted Kony and other LRA leaders for war crimes, who have eluded capture. Still, it is most unfortunate to imply as the video does that the Ugandans are bystanders in their own struggle. They are, instead, their own best hope. I am troubled by the whiff of an arrogant underlying assumption that it was not until U.S. Internet technologies came along that ordinary people could alter oppressive conditions. I might feel better if the video pointed out that the United States has conspicuously rejected a role as a state party in the ICC. Or if it mentioned that the United States has never signed and ratified the United Nations Convention on the Rights of the Child, a human rights treaty setting out the civil, cultural, health, economic, political and social rights of children. We find no mention, either, of the exertions of countless individuals and groups working in Uganda through very different means, nor does it leave much room for other promising approaches to this crisis and others like it. In 1993, for instance, Betty Bigombe, a minister of state working from the prime minister’s office, began face-to-face negotiations in the conflict in Acholiland, in northern Uganda, that arose from Kony’s LRA in 1986. Bigombe, who has recently been writing on the subject with a research fellowship in the United States, has said that the LRA is no longer the problem that it was for Uganda — apart from its responsibility for its egregious crimes in the past. She holds that, now, nearby countries are more affected by the militia’s actions. When I visited neighboring Rwanda in 2003, people there told me that the entire country would profit from basic elementary education in nonviolent struggle, which could have helped the people to refuse cooperation with the 1994 organized mass murders by the genocidaires (genocide perpetrators). At Rwanda’s National University, in southernmost Butare province, its vice rector, Dr. Jean-Bosco Butera (now director of the UPEACE Africa Programme), told me that as long as the governor of Butare traveled throughout the province and into villages urging the people not to cooperate with the orders to kill coming from the capital Kigali, no deaths occurred in Butare — until he was himself murdered. This brings me to a key point. As yet, comparatively little research and investigation has been done on the potential for applying the technique of nonviolent resistance to situations where the withholding of obedience and cooperation might thwart organized killings and abductions. Yet a 2003 monograph by Gene Sharp and Bruce Jenkins, The Anti-Coup, in my view, holds promise for Africa and elsewhere in its analysis of how noncooperation, which is central to the workings of civil resistance, can be used to block military or political usurpation of power through the withdrawal of obedience to an adversary. Its insights could be applied to populations trying to resist mass killings — such as occurred in Rwanda in 1994 and with Kony’s unspeakable crimes. Post-colonial African countries have seen more than their share of coups d’état by conspiratorial bands of soldiers and groups seizing power. My proposition is that the root causes of some conflicts and coup-type seizures of control may be more effectively addressed through civil resistance, using nonviolent weapons, than through the kind of military intervention proposed by “KONY 2012.” What would happen, for example, if those that Kony has been terrorizing prepared themselves to bring about paralysis by noncooperation, engage in massive subversion of troops, make defiant roving radio broadcasts, conduct general strikes and economic shutdowns? Not only might Kony’s operations be affected, but others aspiring to replace him would be discouraged. The question of what kind of help really helps is always nettlesome, but we must never stop posing it. In general, the great powers have proved again and again that they are capable of making a bad situation far worse by clumsy and awkward interventions. Western leaders and legal institutions do not have deep knowledge of African traditions for addressing acute conflicts that might be strengthened. The persistence of the LRA and the Kony outrage should be addressed as much as possible by Ugandans and other Africans in order for it to provide a hedge against future coups d’état and repulsive arrogations of power. The ability of populations to cope with incendiary guerrilla campaigns deserves concentrated consideration. Sharp and Jenkins’s monograph is a good place to start. I would also like to see more research, study and simulation led by Africans. The history of nonviolent action in Africa is extensive, such as that reflected in a study by Desmond George-Williams of Fourah Bay College in Sierra Leone. Yet much more work is needed in examining how Africans past and present have successfully resisted and withheld cooperation from those who would seize power by brutal means.